Fast forward to 2017, and the same figurative brick hit Chattanooga City Attorney Wade Hinton, an African-American who had devoted most of his professional and volunteer work to creating an inclusive community. The problem was not a paucity of people of color in Chattanooga. The U.S. Census Bureau estimates that Hamilton County population in 2017 stood at 361,613 residents, with 19.5 percent – or 70,500 – of those individuals being African-American. Nor were boards shunning the notion of diversity, as African-Americans such as Claridy and Hinton were welcome additions to the boards of local nonprofits. But they never filled enough seats to match the ratio of black people to Caucasians in the community, Hinton says. What’s more, the same few faces were appearing on board after board. The scant level of diversity on local nonprofit boards was reinforced by the tendency of board members to look within their social circles when searching for individuals to fill open seats. This created a closed network that was difficult for outsiders to penetrate. Enter Board Connector, a web platform designed to link women and ethnic minorities to local nonprofits seeking to tap into the expertise of diverse professionals. “Board Connector identifies nonprofits that are intentional about being inclusive and allows individuals who are interested in serving to raise their hand and express that interest,” Hinton, founder of the website, says. Board hopefuls connect with a nonprofit by creating an account on boardconnector.org. The website is mobile responsive, so users can register on their desktop or laptop computer, or their mobile device. As they sign-up, individuals are asked to enter the skills they would bring to an organization as well as the causes that interest them. “You might have a fundraising background and be interested in working with children,” Hinton explains. Becoming a member is free, and once a user has registered, he or she can then search for board vacancies. With close to 1,600 nonprofits in the city, according to the United Way, there are plenty of opportunities to serve. Nonprofits must register on Board Connector, as well. After creating an account and identifying their mission, an organization can then post vacancies along with the qualities they desire in a candidate. As individuals are screening openings, they can select the board positions that line up with their skills and interests. Recent additions to Board Connector include Love’s Arm Outreach Ministries, Hamilton County Schools Fund for Excellence, League of Women Voters of Chattanooga, Chattanooga Audubon Society and American Red Cross, giving community-focused individuals a broad spectrum of causes to join. While these organizations differ in mission, they have one thing in common: they want their boards to mirror the rich and varied complexion of the community they serve. That includes ethnicity, which goes deeper than black and white. Local minorities also include Hispanics, Asians and even American Indians. While these groups are present in smaller numbers than African-Americans, the U.S. Census Bureau shows they are a part of the fabric of Chattanooga. Using race as a measurement of diversity, Chattanooga’s Office of Multicultural Affairs, with its advisory board of two Caucasians, six African-Americans, four Hispanics and one Asian-American, would be the most diverse board in Hamilton County, Hinton acknowledges. But diversity also includes gender, age, religious affiliation and even socioeconomic status, Hinton adds, and by those standards, even a zealously diverse board like the one that advises the Office of Multicultural Affairs comes up short. As more local boards endeavor to be inclusive, it’s important to remember that diversity is not a token acknowledgement of the different groups of people who live in Chattanooga, says Hinton – it’s essential to the ability of an organization to make an impact on its community. Claridy, who owns and operates a marketing and public relations firm in Chattanooga, says it’s important for a nonprofit to not just serve a group of people but to also include them among its ranks because of the unique perspective they would bring to the table. A heavy focus on serving minorities led Habitat for Humanity of Greater Chattanooga, a nonprofit that builds and repairs homes in partnership with low-income families, to increase the diversity of its board. The bulk of Habitat’s clients are single African-American mothers. Of the 277 homes the organization has built from the ground up since it began serving Chattanooga in 1986, 252 were sold to African-American families. Likewise, African-American families owned 58 of the 65 homes Habitat has serviced with repairs. Because of this, Habitat President and CEO David Butler says it was vital that the organization’s board reflect its clientele. “If all we have on the board are old white guys like me, we’re asking for trouble,” he admits. Hearing of Habitat’s desire to add another person of color to its board, Hinton played matchmaker. In addition to sending Butler an email introducing him to Board Connector (which at the time was in its pilot phase), Hinton informed an African-American friend, Marcus Jones, of the opportunity to serve. As the owner of Magnolia Developments, a custom-home development company based in Chattanooga, Jones was busy overseeing multimillion-dollar projects. But he was eager to give back. As the son of activists, volunteer work was in Jones’ blood, and he pitched in whenever and wherever he could. He even swung a hammer to help the local Habitat build some of its 277 homes. Jones liked the idea of working with Habitat because of the way it helps to break the cycle of poverty. Both parties registered with Board Connector and then met for a series of interviews. Butler was impressed. “I was on several boards when I was in the for-profit world, and a lot of them are resume builders. When I first arrived here, there were a lot of people who didn’t do anything except sometimes show up for a board meeting,” he says. Butler’s long-term vision for Jones underscores one of the most important aspects of the shift toward diversity on boards: Bringing on a minority is not enough; once a minority has joined a board, he or she must be valued as an active, contributing member, Hinton says. “Numbers are important, but they don’t tell the story of whether someone is truly valued,” Hinton explains. “You can have someone serving on a board, but if that person doesn’t feel like his ideas are welcome, or if the board isn’t receptive to a different perspective, then it’s not a win. Upon joining the Habitat board, Jones was able to test the waters of receptiveness when he spoke up during a debate about a knotty matter. Habitat homes are often built in inner-city communities, including areas with a history of crime, Butler explains. Not only is this where many of the organization’s potential homeowners live, it’s also where Habitat can afford to purchase land. On occasion, a potential homeowner will turn down a house that’s slated to be built in one of these neighborhoods and ask to remain on the waiting list until a lot becomes available elsewhere. The Habitat board was tasked with establishing a policy for what to do when a potential homeowner rejects a residence because of where it will be built. Jones wound up in the middle, and then shared his thoughts with the rest of the board. “Let’s make every effort to find them something else, but if nothing comes up, then they need to get on board with what we have,” he told the board. Jones helped to sway the board toward that compromise. Had he not been a member of the board and brought his unique perspective to the table, things might have turned out differently, Butler says. Since joining the board, Jones has become its vice president, putting him on course to possibly become president. Until then, he’ll be offering his thoughts regarding whatever business comes before the board. Butler mentions that four Caucasian men will be rolling off the Habitat board in 2019, giving the group multiple opportunities to further increase its diversity. Currently, there are five African-Americans and five women on the board, but only one Latino, which Butler says is not enough. Butler says he’ll be open to using Board Connector to remedy the situation. “If the board doesn’t attract the diverse group I want, and I need help attracting a qualified person, I’d go back to Board Connector,” he adds. Since the Board Connector pilot program launched last year, the platform has facilitated more than 30 placements. While Hinton insists board placements are not about solving a numbers problem or checking a box, but about placing skilled, qualified minorities on boards, Jones says nonprofits need to establish numerical objectives. Once those goals are set, Claridy, who’s promoted Board Connector through her marketing firm, recommends using the platform to search for candidates. Claridy calls Hinton, who resigned his post as city attorney in July when insurance provider Unum hired him to be its vice president of diversity and inclusion, a “visionary” for recognizing a problem and taking the initiative to solve it. “Wade finds the missing links in our community and makes those connections,” she explains. Other communities have expressed an interest in using Board Connector, as well. 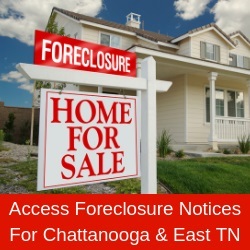 Most of those inquiries have come from mid-sized cities such as Chattanooga, but Hinton says he’s also heard from individuals who live in larger communities that are facing the same challenges. Claridy says she’s pleased with the movement toward greater board diversification in Chattanooga but encourages the community to press even harder to change not just their boards but their mindsets as well. “When you throw down the pieces of a puzzle, they’re all different, but when you put them together, it’s a masterpiece,” she says.